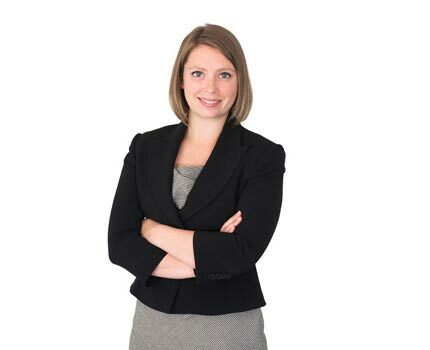 Brittany Earl is a lawyer practising in our business solutions, real estate, and financial services practice groups. She graduated from the University of Lethbridge with a B.A. in Political Science (with distinction) in 2008. She obtained her LLB from the University of Calgary in 2011, after completing a semester at the University of Oslo, Norway. During law school Brittany volunteered with Pro Bono Students Canada and Student Legal Assistance. She was called to the Alberta Bar in August 2012. Brittany also works with small to medium sized corporate clients on a range of matters including incorporations, reorganizations, and unanimous shareholder agreements as well as mergers and acquisitions. She also assists in financing for financial institutions, financing in Commercial and Corporate mergers and acquisitions. Her real estate practice includes purchase and sale transactions as well as leasing for residential, commercial and agricultural properties. Brittany has also worked with not-for-profit organizations on various projects including review and revision of by-laws and contract negotiation. Brittany is on the Duncan Craig Committee Giving Committee and the Laurel Awards Committee. She is Vice President of the Northern Alberta Women's Ringette Association. In her spare time, she enjoys spending time with friends and family, playing ringette, snowboarding, yoga, and participating in Corporate Challenge. She also loves travelling and has had the opportunity to travel South East Asia, Central America and parts of Europe. Duncan Craig is pleased to announce the addition of Brittany Earl to our Business Solutions and Real Estate teams. Brittany has moved to Edmonton from a well respected Calgary law firm where she has practiced since obtaining her LL.B from the University of Calgary in 2011. While obtaining her LL.B Brittany actively volunteered with Pro Bono Students Canada and Student Legal Assistance. In a past life she could often be found on the ice playing competitive ringette.